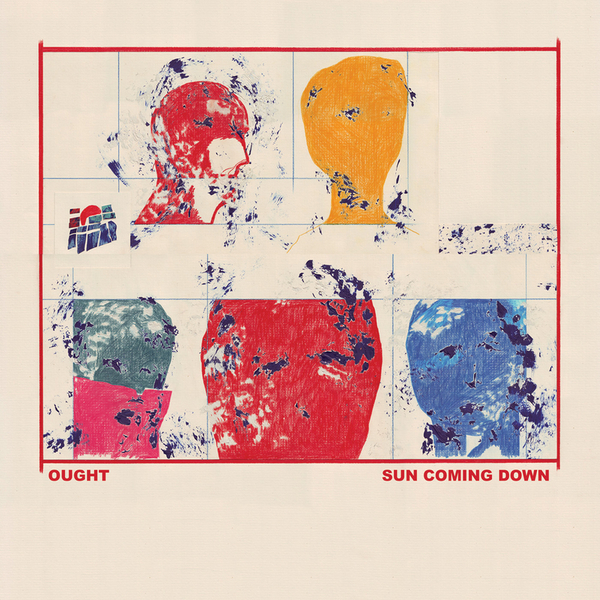 "Ought returns with their second full-length album Sun Coming Down, following a break-out year for the Montréal-based rock quartet that saw its 2014 debut More Than Any Other Day make well-deserved waves for its blend of authentic, anxious, controlled and restive energy, with a Best New Music nod from Pitchfork and appearances on a wide range of year-end lists. Sun Coming Down maintains the band's tight, twitchy and economical sound, with the unfussy, understated rhythm section of drummer Tim Keen and bassist Ben Stidworthy anchoring Tim Darcy's electric guitar and Matt May's fuzzed-out keys (sounding, as often as not, like a second guitar). Ought pursue an artistically apposite austerity in committing these new songs to tape, referencing the arid and unvarnished production of no-wave and early indie rock while balancing carved-out angularity against an evolving comfort with textural coalescences and measured pacing. It makes for an album that's consistently, insistently propulsive but also feels unhurried and pleasantly unhyped. Songs like "Beautiful Blue Sky" (already a fan favorite from live shows) and "Never Better" unfold with gradual and deliberate ebb and flow, where scratchy guitars play like dappled shards of light on gently roiling waves of bass and organ; "The Combo" and "Celebration" keep things crisp and concise. Darcy's voice and lyrics continue to distinguish and define the personality of the band: his blend of ironic detachment, declarative insistence, fragmentary stammering poetics, and the occasional direct aside to the listener, finds various ways to weave within or drive through the mixes." 180 gram vinyl LP, includes poster and free download code.